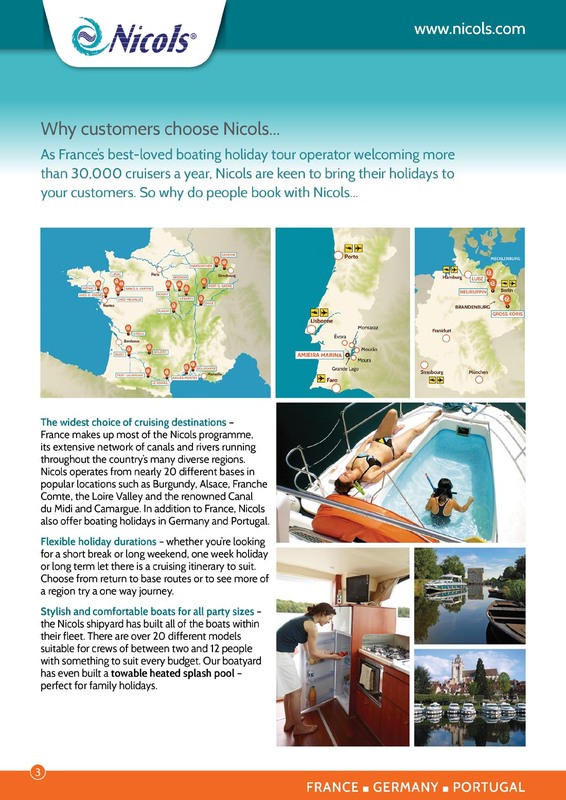 French company Nicols asked Mondo to help them grow their bookings from UK customers and one of the first projects undertaken was a re-write of the English language version of the Nicols website. This not only improved the visitor experience but also saw much better search engine rankings. Since then, Mondo has been tasked with copywriting interesting and engaging content for the UK and other English speaking markets. 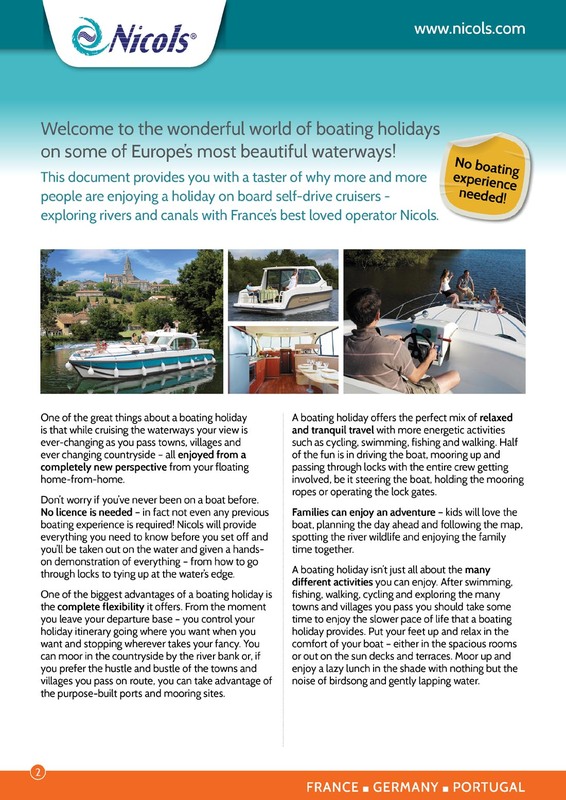 This content is used on a wide variety of promotional materials from printed items such as the brochure, advertising and direct mailings to online items such as email newsletters and blog posts. In addition to researched topics for new content, Mondo also provides high quality translations of other language text for use within English speaking markets such as the United Kingdom, the United States and Australia. 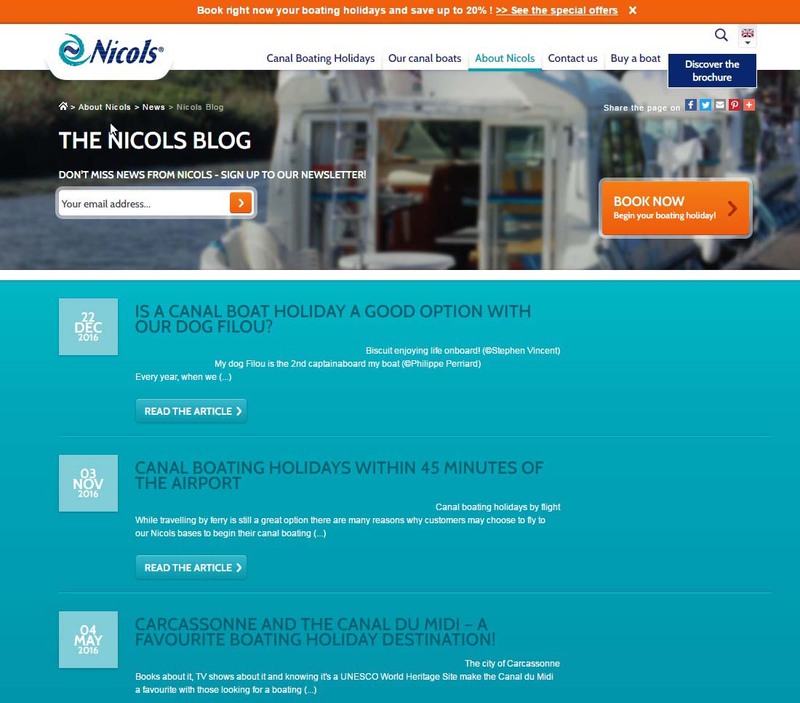 Mondo also runs an ongoing PR programme and Google Adwords advertising for Nicols. 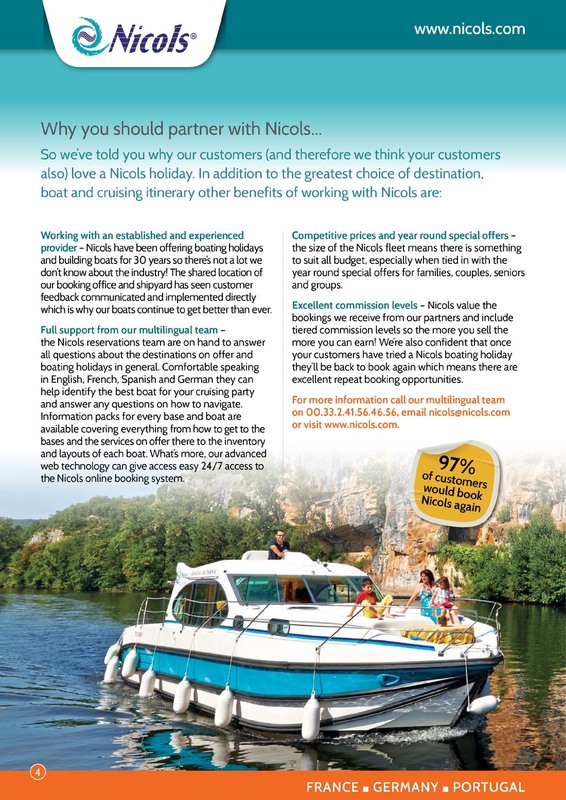 You can find out more about Nicols at their boating holidays website.